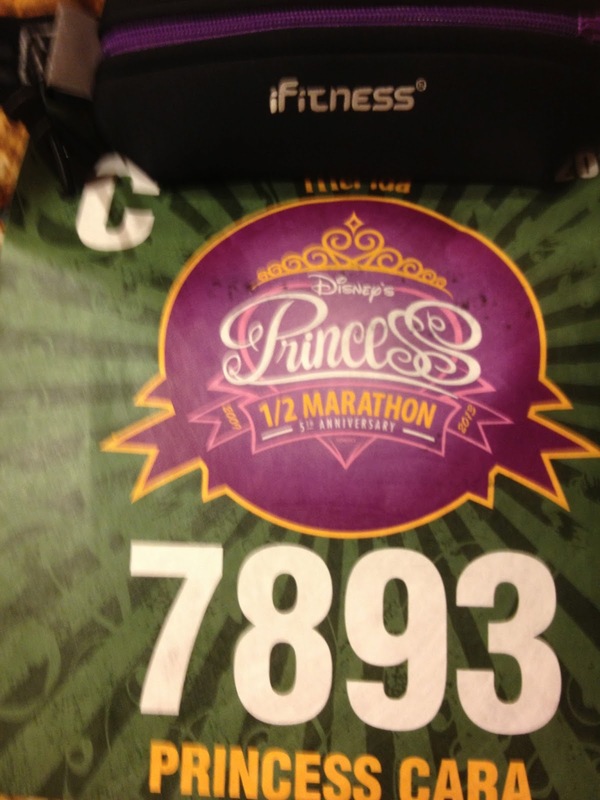 Today is the day that registration opens for Princess Half Marathon 2014! If you are thinking of registering for the Glass Slipper Challenge- don't take too long in making your decision, this event is expected to sell out (and possibly quickly, judging by the time it took for the Dumbo Double Dare and the Dopey Challenge to sell out). 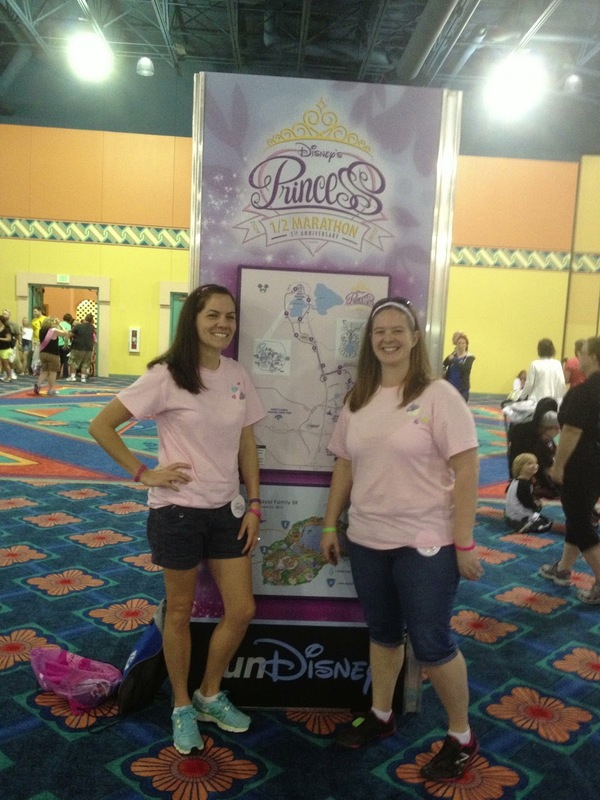 If you are going to be registering today, here is the link: RunDisney Princess 2014. Registration opens at noon EST today. So because registration opens today, I decided to finally do my recap of the Princess 2013 half marathon. Better late than never :) 2013 was my second year running the PHM. I traveled back to Caribbean Beach with my three fellow princesses, but we did things a little differently this time around. First change was that we flew in on Friday (much better than the 12+ hour drive from 2012!). We all flew into the Orlando airport around the same time and went to catch the shuttle from the airport to the resort. We also bought park tickets for this trip, so after checking in, we decided to go to Animal Kingdom and then Disney Hollywood Studios. Friday was a really long day, but a fun one. We got back to the hotel and headed to bed. After we finished at the expo, we went back to the resort to drop our stuff off and then headed over to Downtown Disney to do a little more shopping and to have dinner. 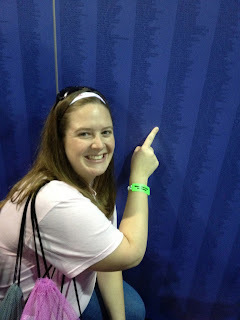 Last year we ate at Rainforest Cafe and we had made our dinner reservations there again this year. Last year we were able to get our chicken fajitas (our pre-race favorite), but this year we discovered that they had changed their menu and they were no longer available. We made the best of it though and had a very good meal and then headed back to the room to get everything organized for our insanely early Sunday morning. One thing I always do is to lay out all of my race stuff the night before so that I am not scrambling around and looking for something on race morning (especially since at Disney you have to get up around 2:30 am to get to the bus on time!). I don't usually have trouble falling asleep before a race at Disney- I think because I'm so tired, and this was no exception. We all got up and got ready to go out to meet the bus. We like to be on the first bus so that we don't have to be worried about not getting to the start corrals on time. We did get on to one of the first busses and soon were dropped off at the EPCOT parking lot. Once we were all reunited at the finish line, we rested for a few moments and then got in line to catch the bus back to the resort. Kelly and I headed for a quick jump into the pool- it was very refreshing after the hot, humid race! After we had all showered and relaxed for a bit, we walked around the resort for a little while before headed over to the Contemporary resort for our reservation at Chef Mickey's for our celebration dinner. 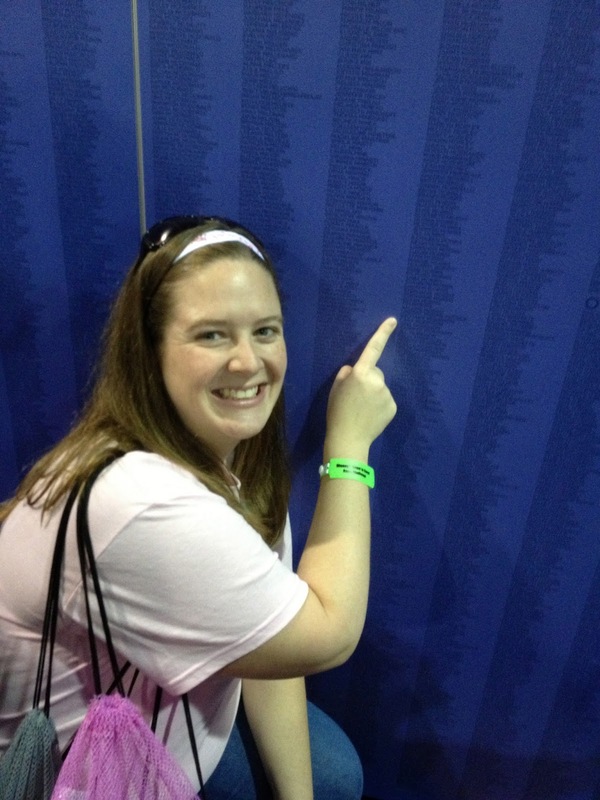 PHM 2013 was a great trip filled with fun memories! If you are considering signing up for this year, you'll have a wonderful time!